Washington D.C. — A forum hosted by the US Halal Chamber of Commerce for the Autonomous Region in Muslim Mindanao (ARMM) and the Philippine Economic Zone Authority (PEZA) held here on March 27 looked at how Mindanao’s producers of halal products could access the US market. Habib Ghanim, CEO of the US Halal Chamber of Commerce, led a group of experts in briefing the Philippine delegation on business opportunities, as well as challenges, in the US halal trade. During the forum, it was proposed that a Memorandum of Understanding (MOU) be signed among PEZA, ARMM and the US Halal Chamber of Commerce in order to formalize cooperation and assistance. “I believe that this will go a long way towards ensuring the empowerment of ecozones of Mindanao,” PEZA Director General Charito Plaza said. 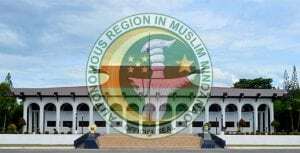 “The ARMM government is continually working to open the possibilities to the halal market for the region as well as for the country,” Gov. Hataman said during the event marking Polloc Freeport’s declaration as halal hub. · address the relative lack of information on halal markets. The delegation considered the proposed cooperative effort to be timely because the global halal market is worth about US$ 2.77 trillion annually with trade in halal foods at US$700 billion, accounting for as much as 12% of global trade in agro-food products. The signing of the MOU may take place at a planned International Halal Ecozones Summit to be held in Davao City, Philippines in October.